The perfect hiking shorts! Our friends at Woolrich created the Canoe Creek Hiking Shorts, and we TrailblazerGirls are super happy with them. 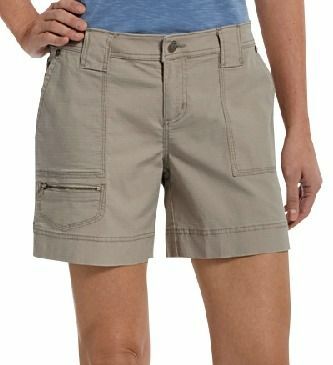 They’re very comfortable, have plenty of pockets, and are a flattering length (not too short and not too long). Made of 99% cotton and 1% Spandex, they have just the right amount of give that you need in hiking shorts, and they come in 3 neutral colors.